This porridge blend started as a pure oaty goodness, then into the mix was thrown some barley, rye and quinoa flakes. With the addition of sesame, pumpkin and poppy seeds this breakfast bonanza became even more bountiful. If this doesn’t wake you up in the morning, nothing will. Porridge Oats, Jumbo Oats, Oatmeal, Barley Flakes, Rye Flakes, Golden Linseeds, Linseeds, Pumpkin Seeds, Sunflower Seeds, Buckwheat Flakes, Poppy Seeds, Quinoa Flakes. The Rude Health 5 Grain 5 Seed Porridge (formerly Morning Glory) 500g product ethics are indicated below. To learn more about these product ethics and to see related products, follow the links below. Great tasting porridge with lots of healthy grains. 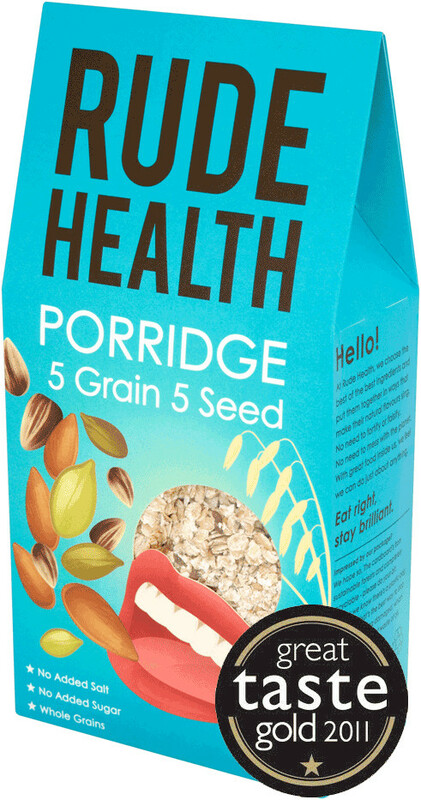 There are currently no questions to display about Rude Health 5 Grain 5 Seed Porridge (formerly Morning Glory) 500g. Rude Health Organic Foods are bringing the fun back into healthy breakfasts. Their organically produced mueslis and porridges are packed full of tasty fruity bits and extra textures, flying in the face of any cynics who thought that such cereals were boring. 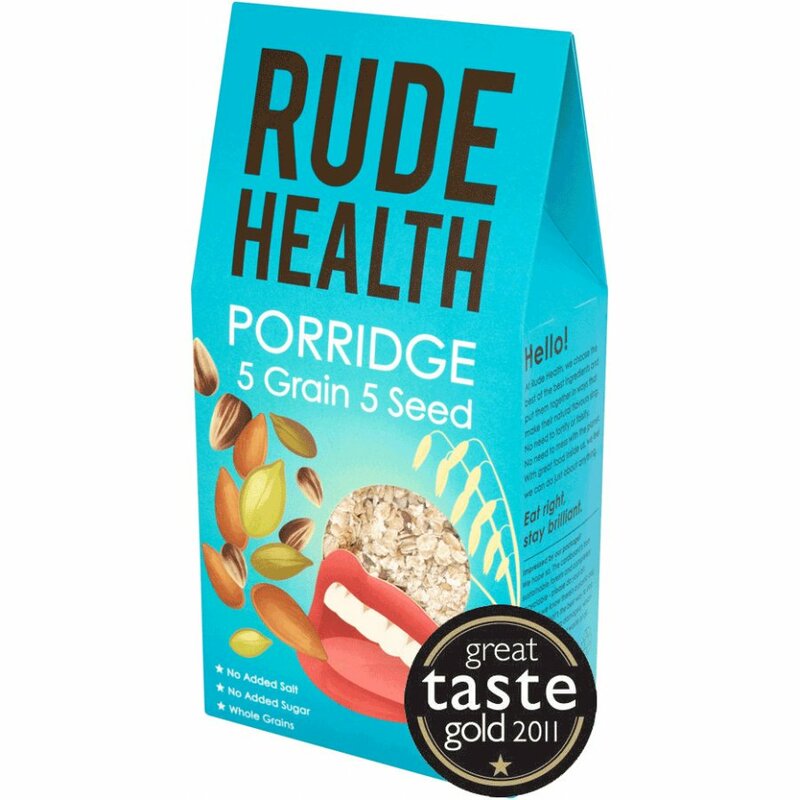 Rude Health are committed to sourcing organic, sustainably-grown ingredients, and all of their packaging is either recyclable or biodegradable, meaning that every Rude Health breakfast will give a boost to wildlife, hedgerows and farmers as well as a great energy boost for you to start the day.